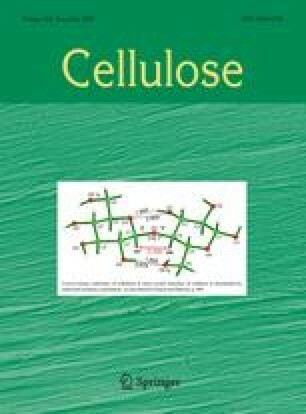 Depolymerization of cellulose in homogeneous acidic medium is analyzed on the basis of autocatalytic model of hydrolysis with a positive feedback of acid production from the degraded biopolymer. The normalized number of scissions per cellulose chain, S(t)/n° = 1 − C(t)/C0, follows a sigmoid behavior with reaction time t, and the cellulose concentration C(t) decreases exponentially with a linear and cubic time dependence, C(t) = C0exp[−at − bt3], where a and b are model parameters easier determined from data analysis. MHG thanks FAPESP and CNPq for the financial support of this study. This work is also within the scope of INCT-Catálise Research Center in Brazil. The author thanks Professor Dr. Ernesto R. Gonzales for helpful discussion.